Looking for a pokies developer with a major focus on the mobile market? Let us introduce you to Nektan, a Gibraltar-based B2B software company that’s built up an impressive selection of online pokies. We explain more about this slot brand, the games available and where you play Nektan pokies for real money online using Australian currency. Nektan is a developer of online casino games, designing, building and operating games in the real money market for both desktop and mobile platforms. Its mission is to deliver original and innovative content to large commercial organisations that have established online audiences, and therefore you’ll find Nektan pokies at some of our recommended casinos. The company is headquartered in Gibraltar, with licensing from the Gibraltar Licensing Authority and the UK Gambling Commission. Nektan also has offices in Las Vegas and London, targeting the European, Irish and American markets. The company has been listed on the AIM market of the London Stock Exchange since November 2014. The Nektan brand was founded by Gary Shaw with the intention of exploiting the white label mobile gaming opportunity. In 2013, Nektan acquired mobile technology business Mfuse Limited, enabling the expansion onto a mobile platform. All Nektan games are build using HTML5, which enables them to be deployed across desktop, smartphones and tablets. 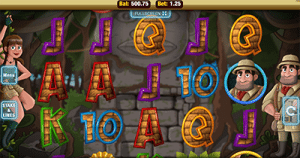 Nektan pokies all follow the same format, with a different take on game play where wagers are placed with the use of a scrolling tab rather than the usual coin size, bet size and payline buttons. To place your bets, you need to click the Stake & Lines button sitting to the left of the reels and then use the scrolling function to select how many lines you want to play and how much you want to stake. While Netakn games are pretty easy on the eye, they lack the bonus features that players have come to know and love from the major software developers like NetEnt, BetSoft and Microgaming. Typically, Nektan slots don’t offer anything exciting beyond a wild symbol and a scatter symbol, with free spins and nothing else. 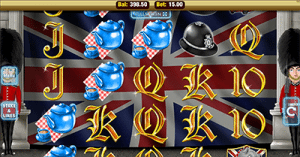 Best of British – Celebrating all things English, Nektan takes every piece of British iconography and crams it into this one fun pokies game in Best of British. With the reels set against a huge Union Jack and two royal guards standing to the side, symbols consist of tea pots, English bulldogs, police hats, double decker busses and fish and chips. While it’s not the most inventive of slot games and there’s no unique bonus rounds, it looks impressive, and there’s a decent free spins bonus that gives you the chance to boost your winnings. Shamrock ‘n’ Roll – As the name suggests, this Netkan title is based on all things Irish. The reels are set against a backdrop of rolling meadows with a pot of gold sitting at the end of a beaming rainbow, with symbols that are made up of good luck charms like horseshoes, four leaf clovers, harps and gold coins. There are 25 winning paylines but no bonus features to speak of besides the standard free spins bonus round. Cave Raiders HD – Using an Indiana Jones inspired themes, Cave Raiders HD uses the most impressive graphics of the Nektan slot collection. In this fun animated game, two explorers stand to the side of the reels, coming to life when a winning combination is placed. Symbols are made up of ancient relics and wildlife, with a skull and crossbones symbol that acts as the games wild. Once again, there are no bonus games in Cave Raiders beyond free spins, which are triggered by three of the airplane symbol. Despite the high quality of Nektan games, it’s still a small software studio so you won’t find these games at many of the leading online casinos. 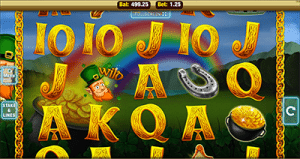 Luckily, all of the titles mentioned above can be found at Slots Million, one of top-rated pokies sites for real money play, offering over 1,800 games from the leading software providers available for instant-play. Nektan games can be played at Slots Million for free in practice mode, or for real cash bets using a range of trusted payment options like credit card, debit card, bank transfers, pre-paid cards and more.